Television in the 31st century has many programs of different genres, which include news, live-action shows and more. It is possible that in the 31st century, all the whole number channels have been taken, leading to channels like Channel √2. 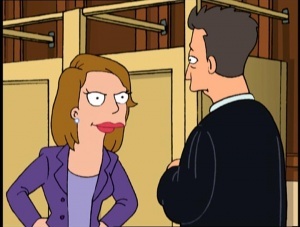 Description: A show about a female lawyer trying to survive in a man's world. Description: A popular soap opera that has amazingly unreal storylines. Based on: All My Children or other 20th Century soaps. See Captain Mega Meat and Bottomless Boy. Description: A children's show featuring superheroes. 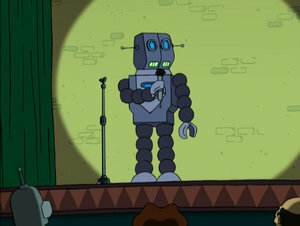 Description: Bender mentions that he is on this show because of what he did in the coffee pot. 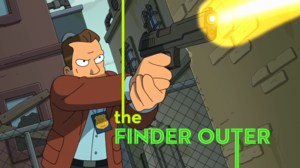 Description: A simple news program hosted by Morbo and Linda. Description: A show where cops like Smitty and URL try to enforce the law. 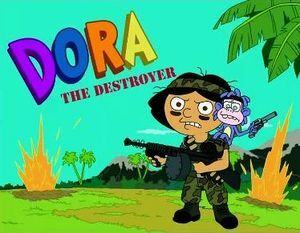 Description: A children's TV show that focusing on its titular character and her unnamed monkey sidekick, who are violent gun-wielders. 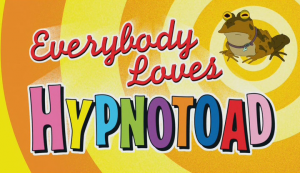 Description: The most popular TV show in the future, dominated by, and focused exclusively on, the Hypnotoad. 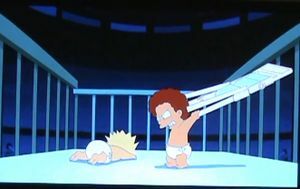 Description: A sports television program featuring two toddlers fighting each other in a crib, both hand-to-hand and with objects such as chairs. 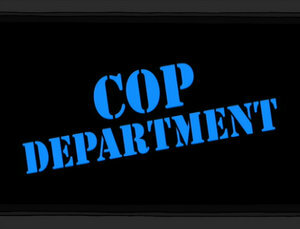 Description: A show about a cop with no special abilities whatsoever. Description: A show that took place in the year 4000 that was cancelled before it aired. 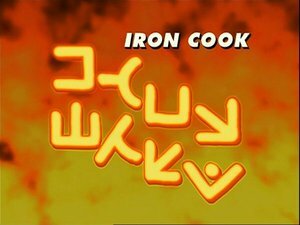 Description: A show where two chefs compete for the title of Iron Cook. Description: A late-night talk show hosted by Humorbot 5.0 in the vein of those seen in the 20th and 21st centuries. 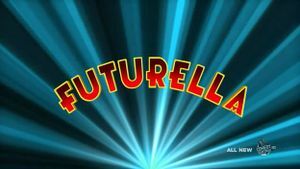 Description: Initially a children's show aimed at preschoolers and elementary schoolers written and created by Turanga Leela and produced by Abner Doubledeal, and heavily based on the lives of creatures on another planet, the show was later converted into a reality show featuring those creatures. 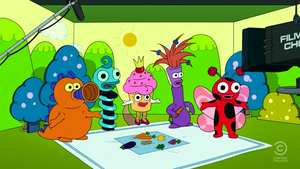 Based on: Yo Gabba Gabba!, Teletubbies and other children's shows of a similar nature. See Saturday Morning Fun Pit. 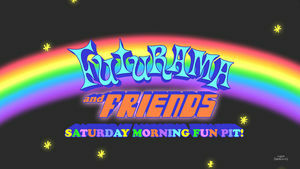 Description: A trio of craptastic Saturday-morning cartoons. 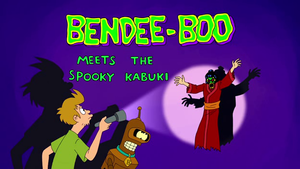 Description: A cartoon where Fry, Bendee Boo (Bender), and the rest of the gang solve mysteries. 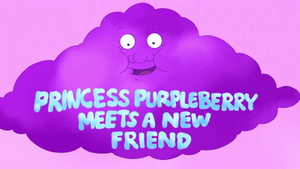 Description: A cartoon probably aimed at selling Purpleberry cereal to young children. 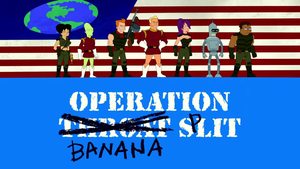 Description: A cartoon that President Nixon edits for violence. 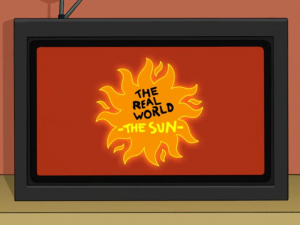 Description: A reality show taking place in an (according to Leela, expensive) apartment on the sun. 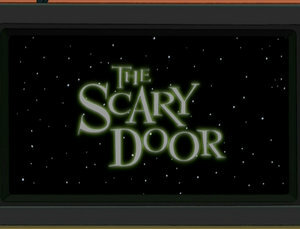 Description: A show where anything is possible, with supernatural themes and twists. 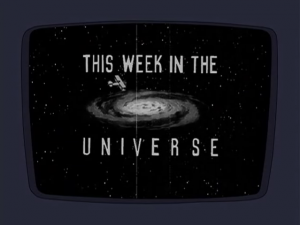 See This Week in the Universe. 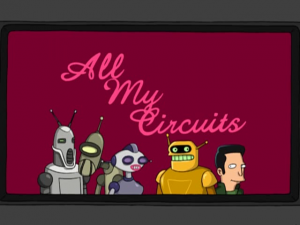 Description: A newscast show which sums up recent news in the universe. This page was last edited on 26 November 2014, at 03:50.